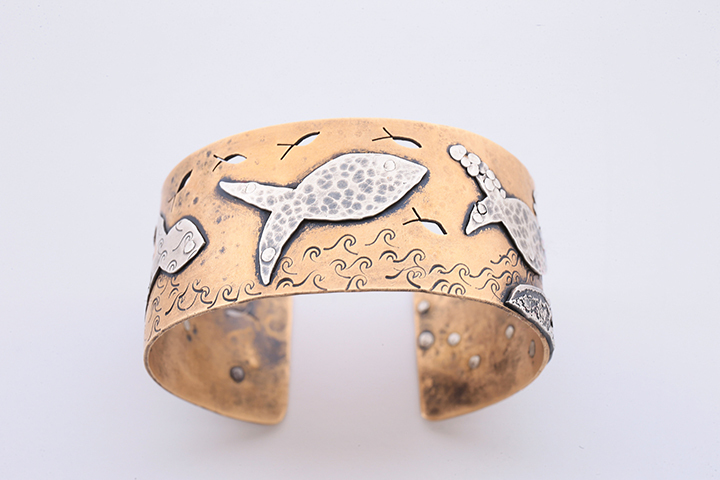 Cuffs are like a large blank canvas where Meeshka collides story and art. 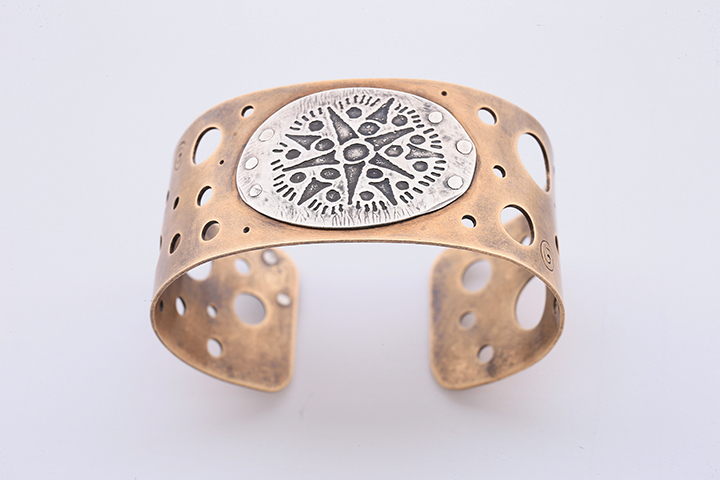 Bronze, sterling silver and gold; etching, piercing, soldering and riveting; whatever it takes to tell the tale. These pieces are truly one of a kind.